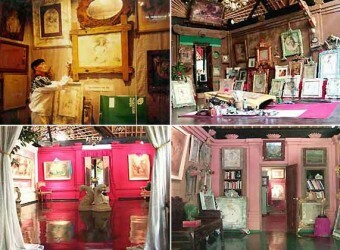 The Blanco Renaissance Museum in Ubud is the art gallery of Don Antonio Blanco. He passed away, but the museum is administered by his son, Mario Blanco, who inherits his spirit and continues to find success through his own paintings. In the western taste floor that is reformed Blanco’s house, there are many exhibitions that draw Legong Dance of Bali and his grandchild, etc. through 1st and 2nd floors. My Favorite Spot in Bali! I was majoring in art so I am impressed when I see this kind of art museum. Inside the museum that designed in western style is full of painting collection. I was happy being able to see many displays in Bali. I also wanted to make a painting.